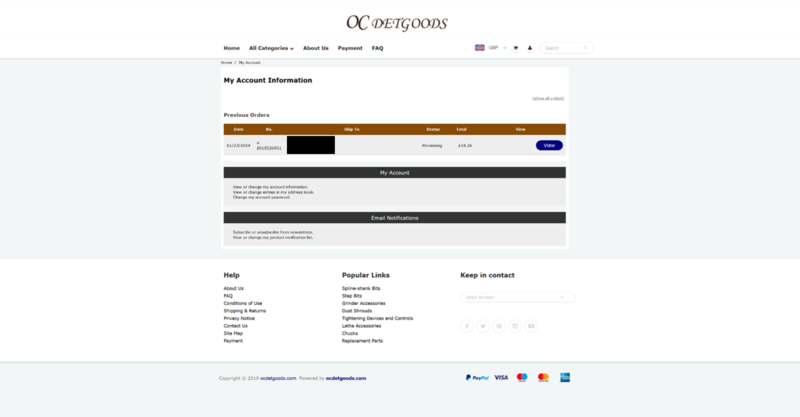 OCDetgoods.com: 'selling' goods but never delivering anything. I ordered a monitor stand from https://www.ocdetgoods.com/. They charged my account but after 1 month they still hadn't delivered (nor updated me with any information). I tried to contact them but they provided no email nor phone contact and the only option was through their website which was undoubtedly did nothing. I since looked online and noticed other people have complained about the same thing. It is worth noting that https://www.gscdagoods.com/ seems to be running the exact same thing.